Under official license from KAOTOXIN records, TANQUAM AEGRI SOMNIA, a new label from Belgium founded by Corvus of Cult of Erinyes, is releasing DEHUMAN‘s debut full-length, Black Throne of All Creation, on vinyl. The album is being offered as a standard LP and limited edition (100 copies) red LP and is scheduled for release on July 2nd. Both versions of the LP are now available for pre-order through KAOTOXIN records at shop.kaotoxin.com. The CD version of Black Throne of All Creation will be out on May 28th via Kaotoxin Records. 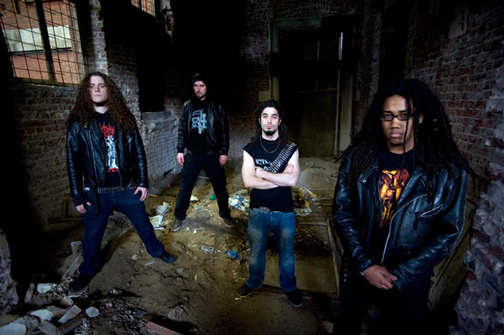 For a limited time, Apochs.net is offering an exclusive full album stream of Black Throne of All Creation. The tracks will be online from now until Friday, June 1st at this location. 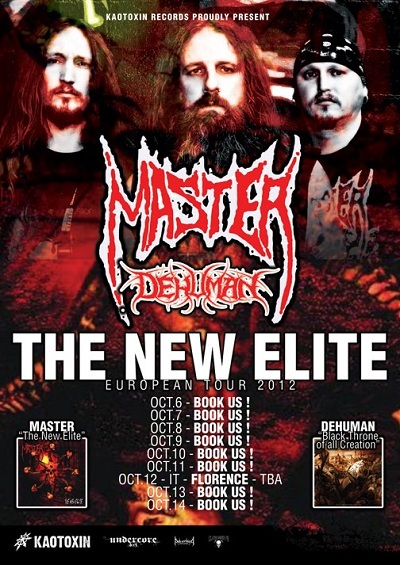 In October, DEHUMAN will take part in the “The New Elite European Tour 2012” with one the most legendary longest-running Death Metal bands in existence, the almighty MASTER from the US & CZ as headliner The tour will start on Oct.6th in Germany and end on Oct.14th in the Czech Republic. Tour dates are still being confirmed. For updates, join the tour’s Facebook Event Page. Serious and motivated offers to book the tour can be sent to info@kaotoxin.com. 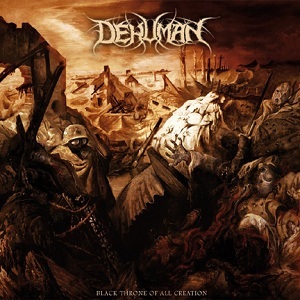 Started in 2006 and devoted to the cult early / mid 90s Death Metal scene from the US and Western Europe, DEHUMAN proves with Black Throne of all Creation that quality songwriting is not a matter of age with plenty of catchy hooks in a very groovy and melodic, yet dark and evil Death Metal style of their own. Along those same lines, worship of a style is not a matter of ripping-off others’ trademark sound and sounding old-school is not about having a dated sound.